You, your organisation and your clients need to prepare for a fundamental change in the way financial results are reported. From 1 January 2015, companies who do not already follow International Financial Reporting Standards (IFRS) or Financial Reporting Standard for Smaller Entities (FRSSE), will be required to comply with new FRSs. These new standards, in particular FRS 102, will effectively replace the existing UK and Republic of Ireland Generally Accepted Accounting Practice (GAAP). In her course, Lisa Weaver helps you to understand the new regime, the background to the decision to adopt it and how it was developed. The course looks at the main principles of each of the main FRSs and enables you to think through the choices available to you so that you can start to make informed decisions about how you are going to implement the new standards before 1 Jan 2015 deadline. •	Why change at all? •	How was the regime developed? •	What are the new FRSs? •	How do the new FRSs relate to each other? •	What are the main principles and requirements of FRS 100? 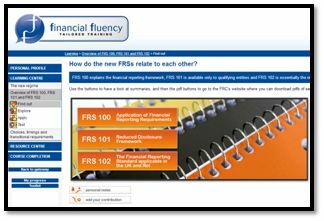 •	What are the main principles of FRS 101? 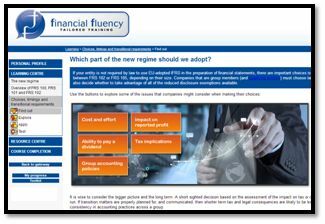 •	What are the main pros and cons of FRS 101? •	What are the main principles of FRS 102? •	Which part of the new regime should we adopt? •	When are the new standards effective and what is the transitional period? 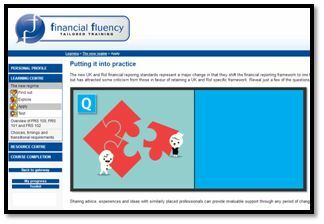 •	What adjustments are made on transition to FRS 102? •	What disclosures are necessary in the first FRS 102 statements?